Dubai: Gold jewellery sales in the UAE had its worst performance ever during 2018, with higher gold prices and the VAT (value-added tax) factor forcing consumers to stay away from their favourite metal. Demand from tourists was also weak for the better part of the year, though this did pick up slightly after the government announced VAT refunds for these shoppers from November. In all, 36.2 tonnes of gold jewellery were sold in the UAE last year, down 23 per cent from the 46.7 tonnes recorded in 2017, according to World Gold Council numbers released Thursday. In recent years, UAE jewellery sales have averaged in the 50-tonne plus range. During the fourth quarter of 2018, sales weighed in with 9.5 tonnes, a slight improvement on the 6.9 tonnes in Q3-18. It could be that a good number of gold buyers in the UAE could have shifted their preferences to gold bars so as to avoid VAT, which too contributed to demand tailing off significantly for jewellery. The first few weeks of this year have not brought about any drastic changes in gold buying patterns. 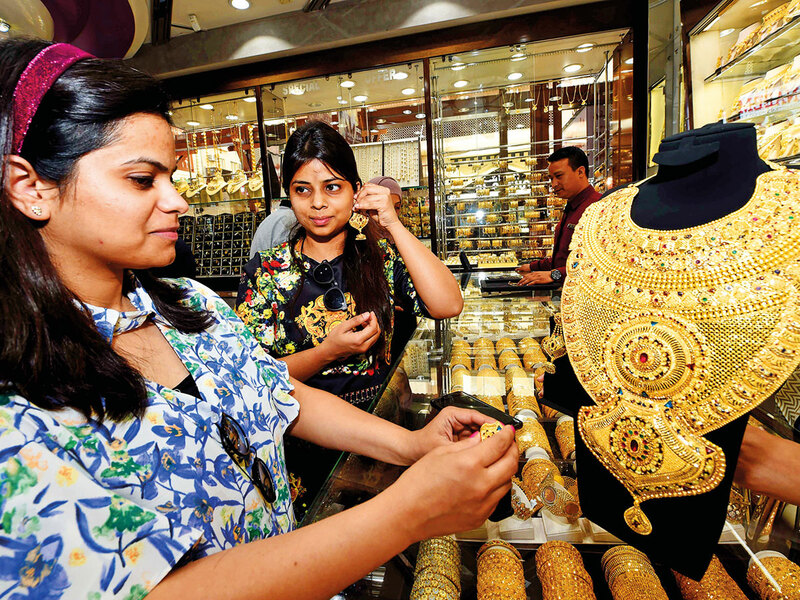 In fact, “Apart from the first few days of January, demand has been weak for all jewellery categories, be it at the high-end or targetted at the budget shopper,” said Anil Dhanak, Managing Director at Kanz Jewels. “There is still buyer resistance to gold prices at a near Dh150 a gram, and that’s the price range we have had for some time now. But consumer sentiments were weak on gold across the region. There was a 14 per cent year-on-year drop in Saudi Arabia, and the decline was more drastic in Iram at 35 per cent. The only major exception were shoppers in Egypt, who helped push demand up by 12 per cent over 2017. Meanwhile, overall demand for bullion weighed in at 4,345.1 tonnes in 2018, up 4 per cent, based on WGC numbers. This is quite in line with the five- year average demand of 4,347.5 tonnes. So, who was doing the buying apart from those picking up jewellery? Central banks the world helped gold’s cause, with their purchases accelerating in the second-half of 2018. Overall, central banks added 651.5 tonnes to their gold reserves, a massive 74 per cent gain on 2017 levels and the “second highest yearly total on record”. At 236.4 tonnes, global demand for gold coins was at a five-year high in 2018, according to WGC. Investment in gold bars was steady at 781.6 tonnes, the “fifth year in succession of holding in a firm 780-800 tonnes range”.